India’s space programme has achieved a massive boost with the success of Mangalyaan – the Mars rover which was developed at a very low budget of approximately $67 million. But the credit for this must go to the pioneer of the space programme in India Vikram Sarabhai the Father of the Indian space programme, who with other passionate scientists laid down the foundations and helped India develop self-sufficiency in space research. Today , India can launch satellites for several countries at a shoe-string budget. Mangalyaan is the cheapest inter-planetary mission to be undertaken anywhere in the world. Reading “Wings of Fire” the autobiography of Dr. Abdul Kalam gave me a glimpse into the passion and dedication of our pioneering space scientists who laid the foundation for space research . The success of Mangalyaan is a result of the vision of our pioneers . In June, ISRO put five foreign satellites into space in a single launch. The main cargo was Spot-7, a high-resolution Earth- observation satellite belonging to European consortium Airbus Defence & Space Co. It also carried four other smaller satellites: one each from the German Aerospace Center and Nanyang Technological University, Singapore, and two from the Space Flight Laboratory at the University of Toronto Institute for Aerospace Studies in Canada. The search for methane in the Martian atmosphere is probably the most significant part of the MOM mission. 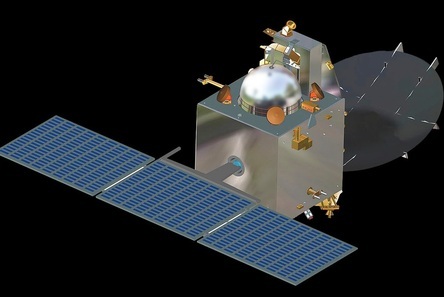 The Indian spacecraft will also examine the rate of loss of atmospheric gases to outer space. This could provide insights into the planet’s history. India’s Mars mission has a price tag of about $74 million, a fraction of the $671 million cost of the U.S. National Aeronautics and Space Administration’s latest Mars program. A success would be an important advertisement for a business India hopes to enter: sending satellites and spacecraft aloft at a fraction of the cost of U.S. and European competitors. In June, India’s Prime Minister Narendra Modi boasted that India has spent less to reach Mars than Hollywood producers spent on the movie “Gravity,” which cost $100 million to make. To hold costs down, India relied on technologies it has used before and kept the size of the payload small, at 15 kilograms. It saved on fuel by using a smaller rocket to put its spacecraft into Earth orbit first to gain enough momentum to slingshot it toward Mars. Some critics say India, a country where more than 300 million people live on less than $1.25 a day, should concentrate more on terrestrial issues. Others argue that the space program will help to fight poverty and boost development by driving innovation in communications services and meteorological forecasting for the country’s largely agricultural economy. I believe that if there is one area in which India has done the right thing – it is space research and it will pave the way for tremendous opportunities in the future! a conversation is a rare thing nowadays. source. Social media sites like facebook and twitter take up almost 40% of our time and this is spent just reading posts , liking posts and sharing photos and videos. for many sports and an active lifestyle have become secondary considerations. Our children are communicating less nowadays as they spend most of their time in the virtual space on smartphones and tablets. Why is your tummy so big ? Are you pregnant, daddy? That was prick on the balloon of my ego – how could I call myself a man anymore? I have heard that seahorses are the only species where the male can get pregnant and the only human that I have heard got pregnant was Arnold Schwarzenegger in the Hollywood movie “Junior” . In Kerala, where I hail from a tummy is considered a sign of prosperity (proportional to one’s bank balance). This is how I consoled myself. But not for long. I decided it was time to hit the gym. Else, how could I resurrect my crestfallen ego. I started on a strict regimen of exercise 2-3 times a week – starting with 20mins of treadmill then other exercises and ending with weights. I also did jogging, inline skating, cycling, marathons, yoga and swimming. Apart from exercise I also took care of my diet – but this was proving to be difficult. I have a weakness for sweets and icecream. Whenever I come back from the gym.. my kid asks invariably — daddy can we buy icecream today? After a few months, I am beginning to see some effect – now the tummy is getting smaller and when I take a deep breath – it is quite flat. I cannot boast of a 6-pack but this can be called a “family pack”! Your blog is about to be recorded into an audiobook. If you could choose anyone – from your grandma to Samuel L. Jackson – to narrate your posts, who would it be? If I could choose anyone to narrate my blog posts it would be Amitabh Bachchan. The bollywood superstar has a rich baritone voice which attracts his audiences and adds to his great charisma. Also known as Big B he has rendered his voice to many films, documentaries and is the host of Kaun Banega Crorepati the Hindi version of Who Wants to be a Millionaire? The angry young man as he is also called has won 3 National awards, 14 filmfare awards and numerous awards at international film festivals. Bachchan made his Hollywood debut in 2013 with The Great Gatsby, in which he played a non-Indian Jewish character, Meyer Wolfsheim. He has been a narrator, a playback singer and presenter for numerous programmes. Renowned film director Satyajit Ray was so impressed with Bachchan’s voice that he decided to use Bachchan as the narrator in his 1977 film Shatranj Ke Khilari (The Chess Players). 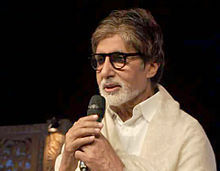 Bachchan lent his voice as a narrator to the 2001 movie Lagaan which was a super hit. In 2005, Bachchan lent his voice to the Oscar-winning French documentary March of the Penguins, directed by Luc Jacquet. It boils down to a matter of perspective..every situation is how we want to see it – a glass half full (optimistic) or a glass half empty (pessimistic). Life has its ups and downs and we cannot expect every situation to be conducive for us. Some experiences are meant to teach us, to enable us to grow and our life would be easier if we did not judge every situation and just listened to our inner voice. on what I have at the moment and try to do a workaround. Once at a meeting the projector did not work. Luckily, I had made some flipcharts. So I relaxed and quickly used the flipcharts. The presentation was different and still proved to be engaging and well appreciated! Given a choice I would prefer the mind of a 12 year old in my body rather than my mind in a 12 year old’s body.All of us have that child within us and every day we are faced with this constant struggle between the child in us and the adult in us. We must not let that child lose in this battle! A childs sense of wonder, innocence and enthusiasm are the magical traits that keeps us alive, bubbly and vibrant. to look in the mirror often and remind myself that I am still young and evergreen and there is a wonderful life ahead of me! You wake up one morning to a world without mirrors. How does your life – from your everyday routines to your perception of yourself – change? Recently, a 22 year girl from Russia had 100 silicone injections because she wanted the worlds biggest lips in the hope of resembling her favourite heroine Jessica Rabbit. And in Singapore,on Dec 30th, 2009 Franklin Heng, property management tycoon died due to multiple holes in his intestines and stomach in a liposuction surgery gone wrong .